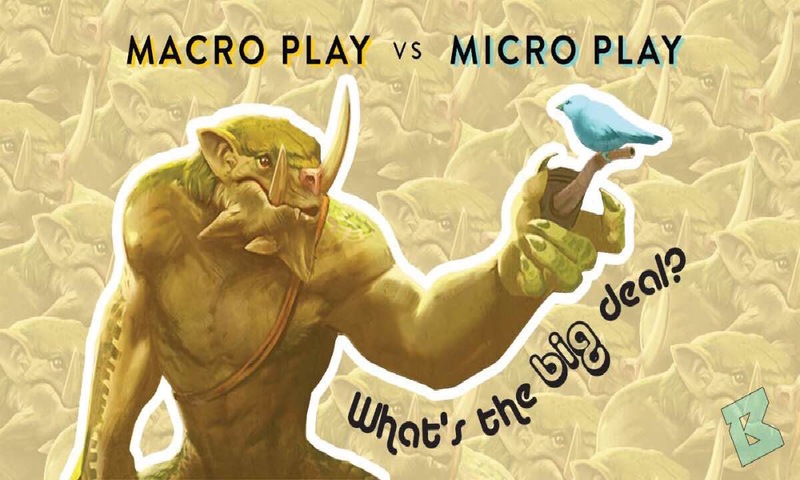 Macro VS Micro: What’s the Big Deal? Welcome back to Broken Myth! Today, we will discuss topics commonly used by Vainglory 8 casters—macro and micro play. The terms, macro and micro, originated in the Real-Time-Strategy (RTS) genre. In such games, players are responsible for an overall game strategy; balancing resources, offensive, and defensive capabilities. Thankfully in Vainglory, we don’t have to develop heroes; we must, however, manage our hero’s in-game mana (energy). Mastering one easily yields victory; mastering both yields prominent success. 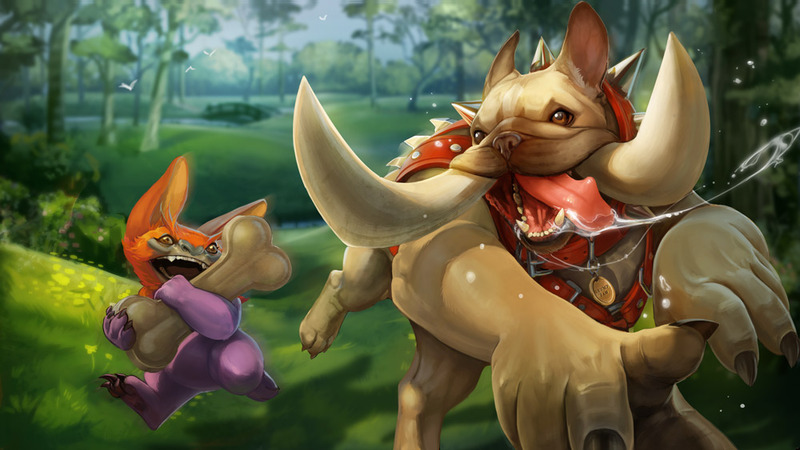 Let’s look and see how macro and micro play work in MOBAs such as Vainglory! Macro, short for macromanagement, is the big picture of the game. This includes your hero and everything developing on the Fold. This is a huge topic, but let’s discuss the prominent areas—map awareness, timing, win strategy, and objectives. Map awareness is something that we should all have, but often forget about. Is your enemy Carry missing from lane? Then you probably shouldn’t face check that bush. Vision and vision control is a type of map awareness, but so is jungle rotations. For instance, knowing the enemy team is rotating back to their jungle opens opportunities to either push lane or take gold mine. These are the macro plays that bring you to the next level. Now, timing is a very advanced skill. Can you tell me the cooldown of a level one Gauntlet? Me neither, but I can guarantee you gabevizzle knows. Knowing cooldowns, especially Fountain, Crucible, and ultimates, open windows of opportunity to capitalize upon. Another aspect of timing is to be acquainted with minion camp respawns. Knowing how long it takes the Gold Miner to fill up, when the Kraken spawns, or more importantly, when she will respawn, are all important timing windows to consider. If you want to push with Kraken immediately, infuse and look to initiate a team-fight near the 15 minute mark. Let’s discuss strategies to achieve victory. “Hey,” you might say to yourself, “that’s pretty simple. Just destroy the enemy Vain crystal!” Is it really that simple? Your win strategy begins in the hero selection phase, whether it’s blind or draft. Knowing how your hero and team composition will play out determines your win strategy. Pick Koshka in jungle? Look to win quick and early. Other heroes take a longer time to ramp up, but have different winning strategies. Baron can be a hyper carry reaching his power spike faster by feeding him gold from both lane and jungle, but you sacrifice the amount of gold going into your Jungler. If you are looking for a late game composition, accompany Baron with a sustain Jungler who can help him reach his late game power spike. Obviously, the outcome of blind or draft majorly impacts your strategy. Objectives are the bread and butter of Vainglory. Taking objectives can lead to a massive advantage in your favor and required to win the game. Knowing when you can secure an objective or to end a snowball is a key concept. For example, the enemy team is invading your jungle. You, as the Carry, can push lane to destroy a turret or invade the enemy jungle to compensate for your Jungler’s gold deficit. Knowing when it’s safe to secure Gold Mine or Kraken is an invaluable skill. Micro, short for micromanagement, refers to the control you have over your hero. This includes movement, abilities, attacking, and dodging incoming damage. To keep it simple, think of micro play as your mechanical skills. Micro generally refers to control. As all players utilize micro play, mastering the strategy is the key for success. How can we master micro play? Previously examined at Broken Myth, positioning, stutter-stepping, and hero roles are examples that fit under micro play. Nevertheless, understanding the strengths and weaknesses of your hero is crucial to micro play. For instance, if you are playing Vox, understanding his attack speed, positioning (not in the front lines), and resonance fits under micro play. These types of micro play require only simple mechanical skill. However, understanding items—their specific attributes and cooldowns—are not as simple. Being able to use Reflex Block effectively is a simple mechanical skill, but understanding how it synergizes with abilities or other skills will up your game. Though micro play holds a prominent role in self improvement, it only plays a minor role in achieving victory. In general, micro play wins team fights, but macro play wins you the game. You may have noticed there were a few important topics we have not discussed yet. Some aspects of gameplay cannot be broken down into macro or micro play. CS, or creep score, is one such topic. CS-ing well to achieve last hits on minions is a micro skill. Gold management from CS-ing is a macro skill. As for items, knowing how to use them is an important part of micro play, but knowing what to buy, or counter-building, is a huge part of macro play. 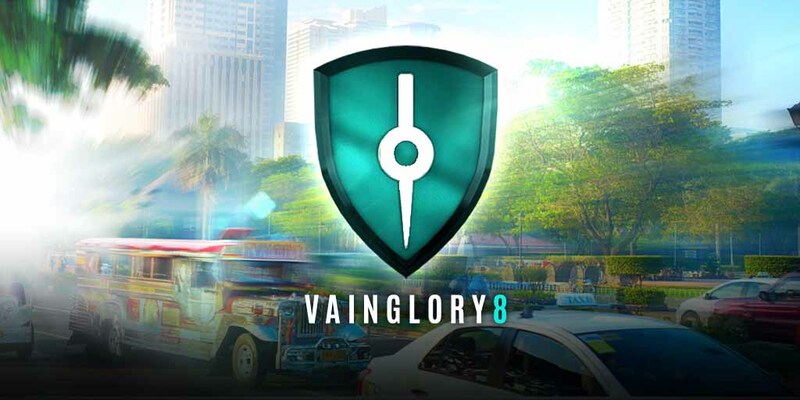 Hopefully you can now see how Vainglory comes together. We all need mechanical skill for top-notch gameplay, but winning the game is more important in the long run. An organized team can easily outplay a team mechanically superior through choosing correct team-fights and pushing objectives. Generally speaking, micro play is less important as players with similar skill are matched on a level playing field. To gain the upper hand, take a look at the big picture and play to win. Ultimately, no matter how many team fights you win, you can still lose the match as Vainglory is an objective-based game. We hope from this article you walk away with a better understanding of the game; both from your individual perspective and to the wide open areas of the Fold. Let us know your thoughts, and we hope to see you soon! Broken Myth’s wonderful graphic artist HipsterSkaarf went through several designs for this article’s graphic before we finally settled on one. As a tribute to his hard work and effort, we decided to release all of them. You can view all four of the graphics he made here: http://imgur.com/a/ri70X.